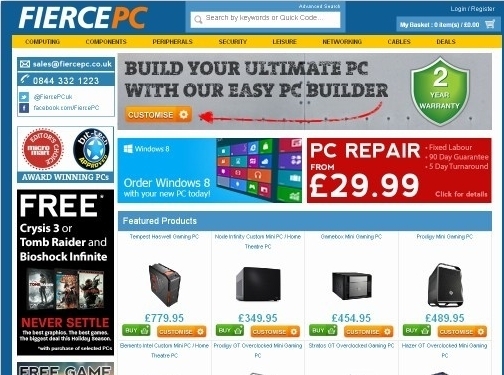 Providers of a comprehensive range of computers and related products such as components, networking accessories, peripherals such as keyboards and mice among much more. All our stock can be delivered within the UK. UK (Rossendale) based company providing computers and computer accessories for sale. Website includes e-commerce facilities, delivery and returns information, terms and conditions, testimonials (via ekomi.co.uk), awards won, FAQs, full company contact details.